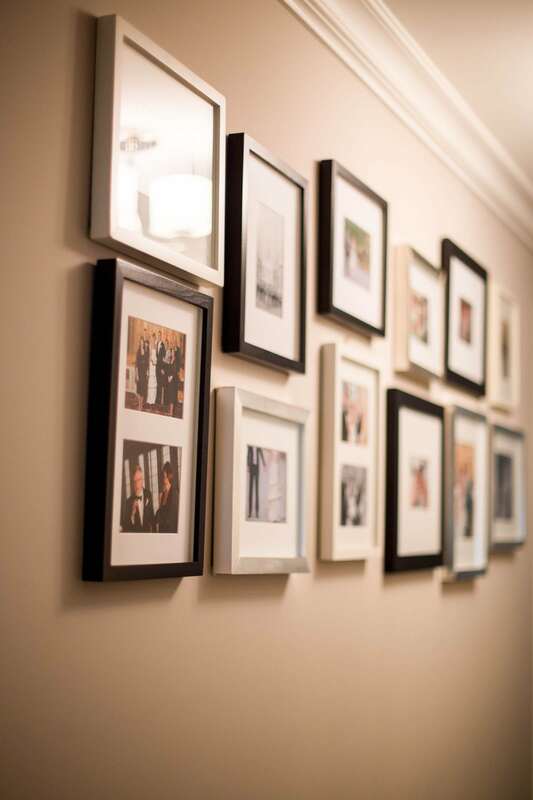 We recently updated our hallway and I wanted to share the simple changes with you. 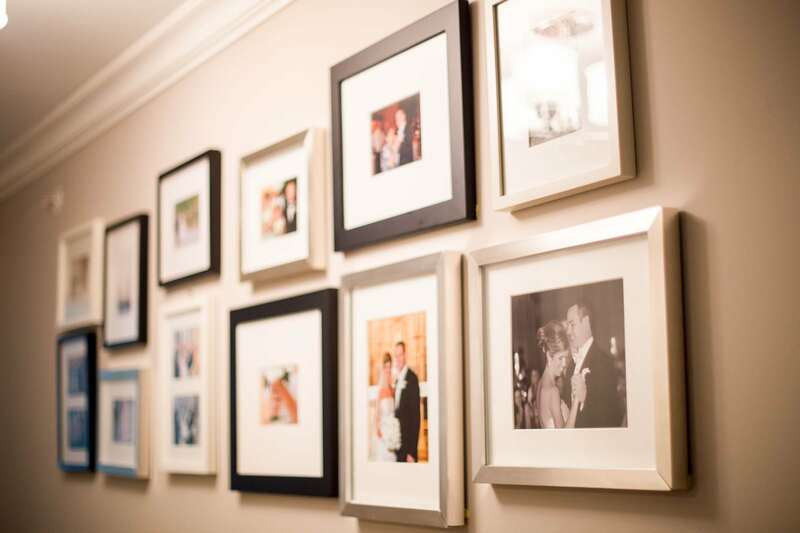 When we moved in over 5 years ago I created a gallery wall with all our wedding photos. Reese kept asking when we could swap the pictures out, the twins wanted to be equally represented in our home. 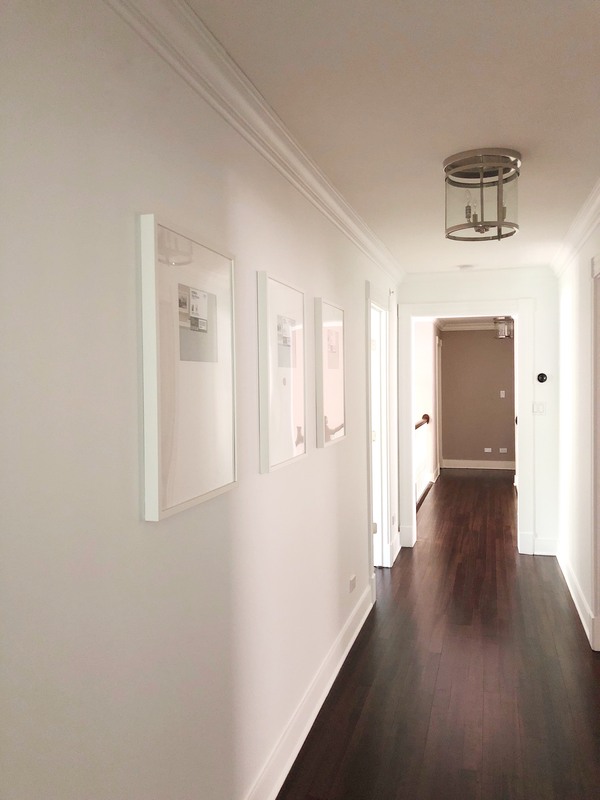 We took down all the frames and decided to paint the hallway Sherwin Williams Pure White. 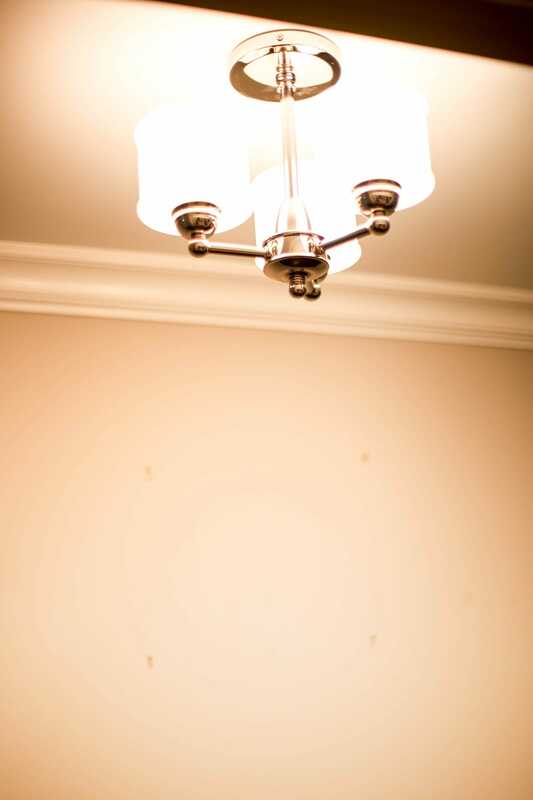 It just makes the hallway more light and airy. We also swapped out the lighting for these new semi-flush lights from Lighting New York in polished nickel. They give off so much light, taking 3-60 watt bulbs. I’ve been inspired by this gallery wall from Studio McGee. However I didn’t want to have to go with custom frames because they are too expensive. 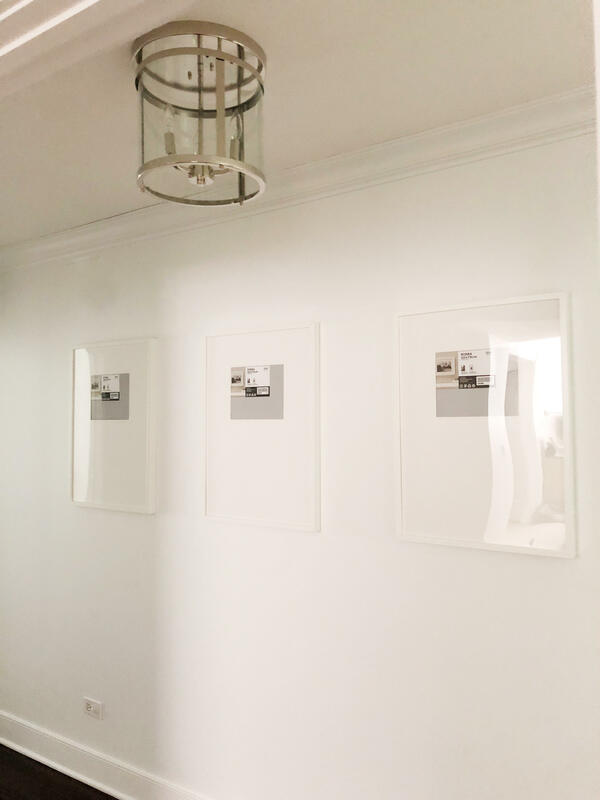 Purchase these IKEA Ribba frames size 24×35 3/4. Each frame is $19.99. 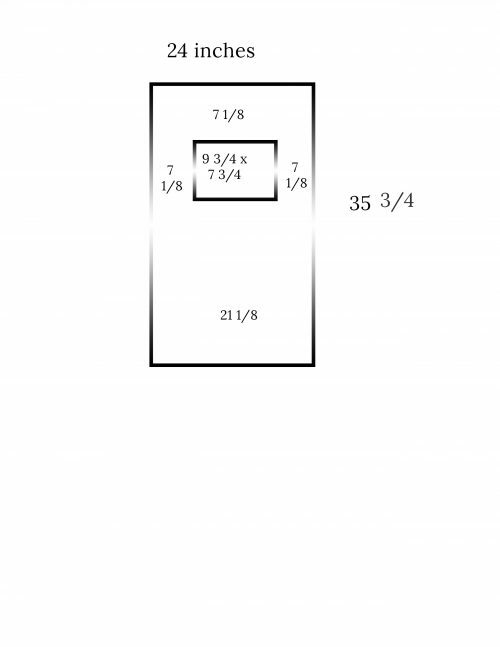 The mat opening is not a standard size at 19×27. So you can throw it out or save for a rainy day.